VATICAN CITY: Turkish President Recep Tayyip Erdogan will meet Pope Francis on Monday, with a protest ban imposed in central Rome as feelings run high over Turkey’s offensive against Kurdish militia inside Syria. 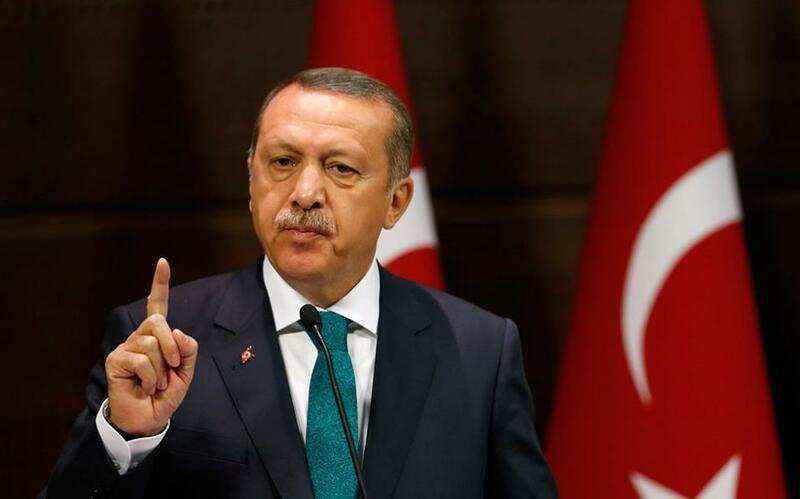 For the first such visit by a Turkish leader for 59 years, the Italian authorities have imposed a 24-hour ban on demonstrations which will cover Erdogan’s arrival late Sunday to his departure on Monday evening. A total of 3,500 police have been deployed for the visit. Nevertheless a sit-in protest by 200 people, organised by a Kurdish association in Italy, is scheduled to take place on Monday not far from the Vatican. Turkey on January 20 launched its “Olive Branch” operation against Syrian Kurdish People’s Protection Units (YPG) militia which Ankara sees as a terror group and a threat to Turkish territory. The Turkish army and allied Ankara-backed Syrian rebel forces are seeking to oust the YPG from its western border stronghold of Afrin but the operation has faced fierce resistance. “In Afrin, a new crime against humanity is under way,” the Kurdish association said. The pope, who has railed against the horrors of war and weapons of mass destruction, is likely to raise the Afrin issue during his meeting with Erdogan at 9:30 am (0830 GMT) on Monday. The YPG, while considered a “terrorist” group by Ankara, is allied to the United States in its battle against Daesh militants. Thousands of Kurds gathered in Syria’s Afrin on Saturday to mourn fighters and civilians killed in a blistering Turkish assault on the region — including female combatant Barin Kobani whose mutilated body appeared in a shocking video, prompting accusations by her family and Kurdish officials that she was “defiled” by Turkish-backed rebels. Erdogan for his part will probably thank the pontiff for opposing the decision by US President Donald Trump to recognise Jerusalem as the capital of Israel. “We are both in favour of the status quo and we have the will to protect it,” Erdogan said in an interview published Sunday. Erdogan’s flying visit to Italy will also include a meeting with his Italian counterpart Sergio Mattarella and Prime Minister Paolo Gentiloni, with illegal immigration, defence and EU membership, something Turkey seeks, likely on the agenda. Pope Francis, a strong proponent of inter-faith dialogue, visited Turkey in November 2014, holding friendly talks with Erdogan, a devout Muslim. While in Istanbul the pope acknowledged that current global crises had made Muslims vulnerable to being stigmatised. Francis denounced those who said “all Muslims are terrorists”. Relations were not so cordial in June 2016 when the pope, during a visit to Armenia, referred to the 1915-17 mass killings of Armenians by Ottoman forces as “genocide”. The Vatican was then forced to refute claims from Turkey that Pope Francis had showed a “mentality of the Crusades” over his use of the term. On Sunday, Erdogan also insisted in a newspaper interview that Turkey wants “full membership of Europe” and did not rule out joint Italian-Turkish action in Libya.